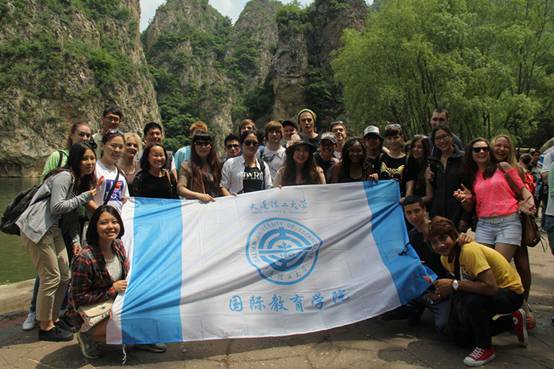 This major is a four-year degree program, and it emphasizes the practical use of Chinese in international enterprise management. The international students are expected to have a command of Chinese knowledge and skills which are required in business and trade. This program aims to cultivate advanced and applied talents in Chinese to meet the needs of the international market. * Applicant under age 18 must have a guardian who lives in Dalian. 2. Upload the following documents in the online application system, one photo, HSK certificate, diploma of high school, school transcript, and passport copy. 3. Applicants once admitted, the Admission Notice, the Application for Entry Form (JW202) and Physical Examination Form will be sent to the enrolled applicants, who could apply for an entry visa to China by presenting the above-mentioned documents, personal passports and the Physical Examination Records to the Chinese Embassy or Consulate in their respective countries. The excellent candidate can apply for Dalian Government Scholarship. Copyright 2014 sie.dlut.edu.cn. School of International Education, Dalian University of Technology All Rights Reserved.